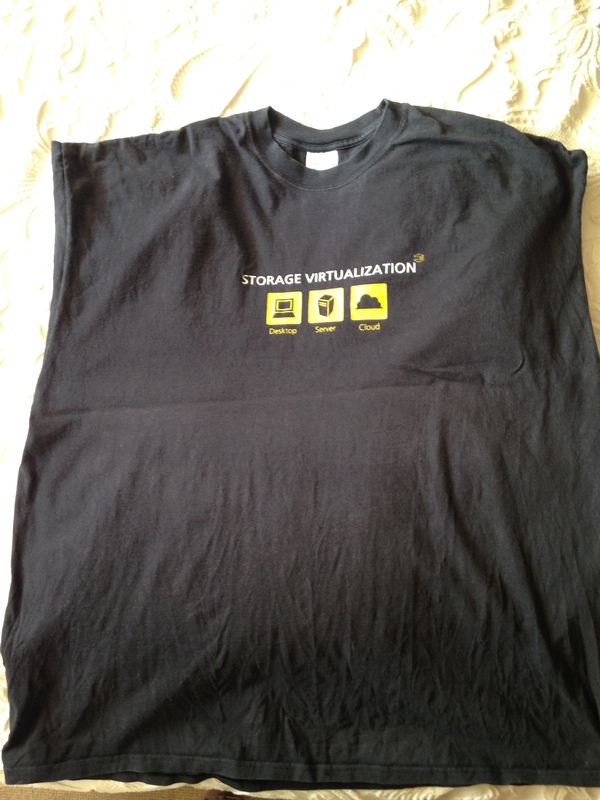 Its time to review a few more Sponsor T-shirts. This time its 2 really good ones, and 2 that are so and so. Good examples on what to do and not to do. Print: The print is still visible, but is a bit faded. Its somewhat more “in your face” than the previous years. Conclusion: The fabric still feels good, its a bit stiff after washing but that quickly subsides. A good shirt. 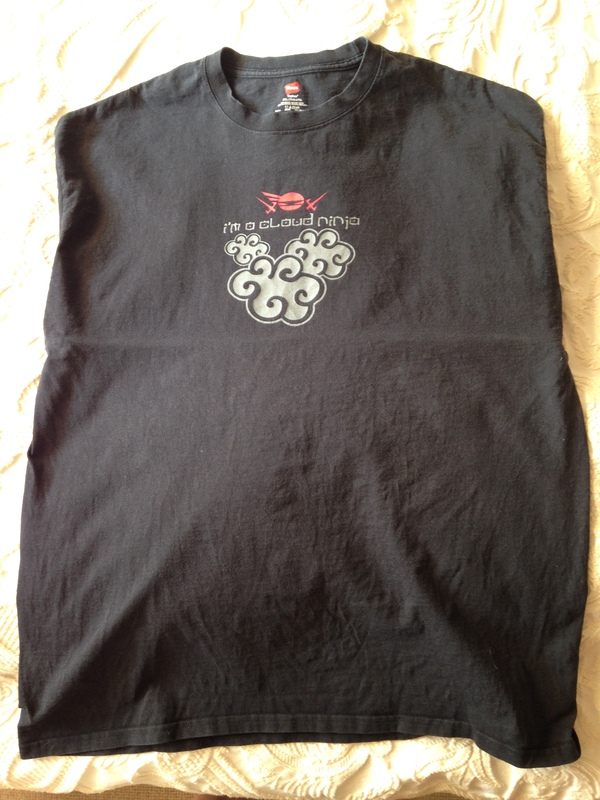 Quality: This shirt has been washed a lot and still keeps its shape, really nice. Conclusion: This is a shirt done the perfect way. Good job F5. A nice catchy image on the front and a very discreet logo on the sleeve. One need to look closely to figure out who made this shirt. 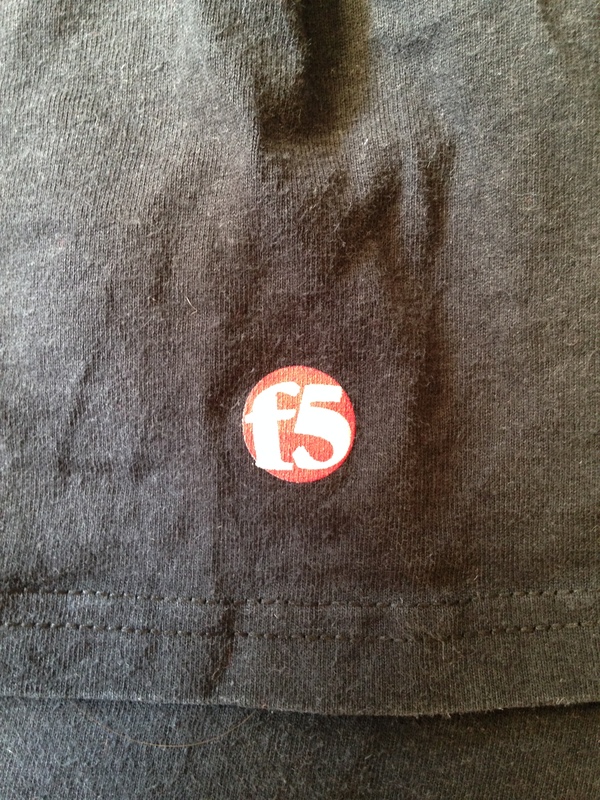 This is really nice done by F5 and a shirt i wear often when off from work. Conclusion: The fabric is still soft and nice, colors a bit faded but again a shirt of good quality. 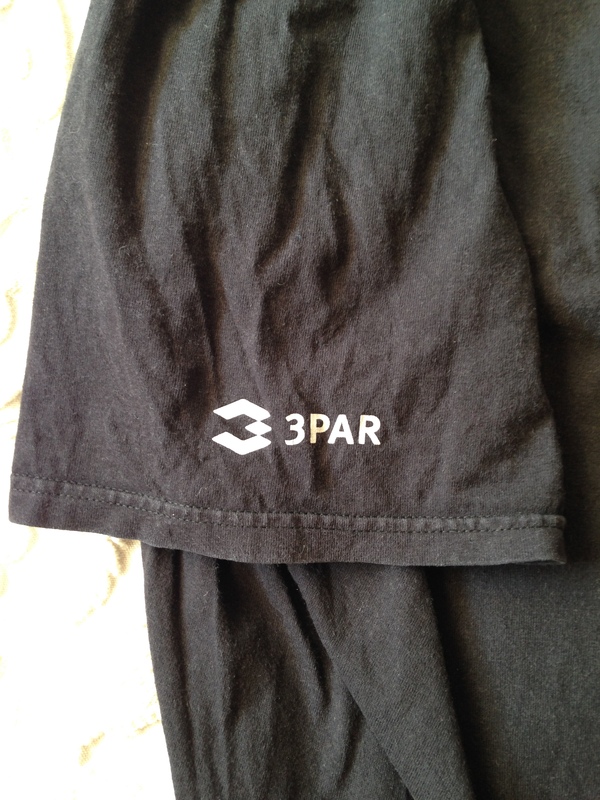 And the 3Par logo isn’t that obvious, again a good shirt. 3Par has changed a lot since HP bought them. 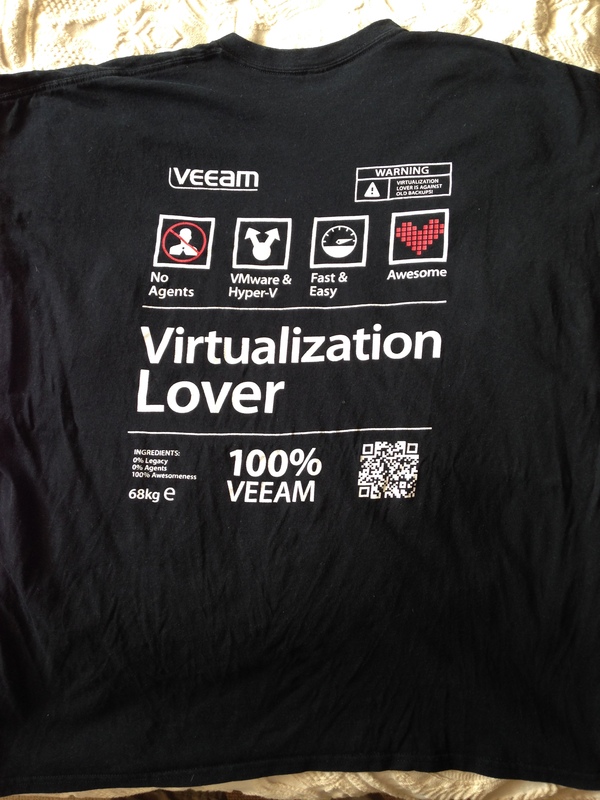 Conclusion: A nice logo on the front. 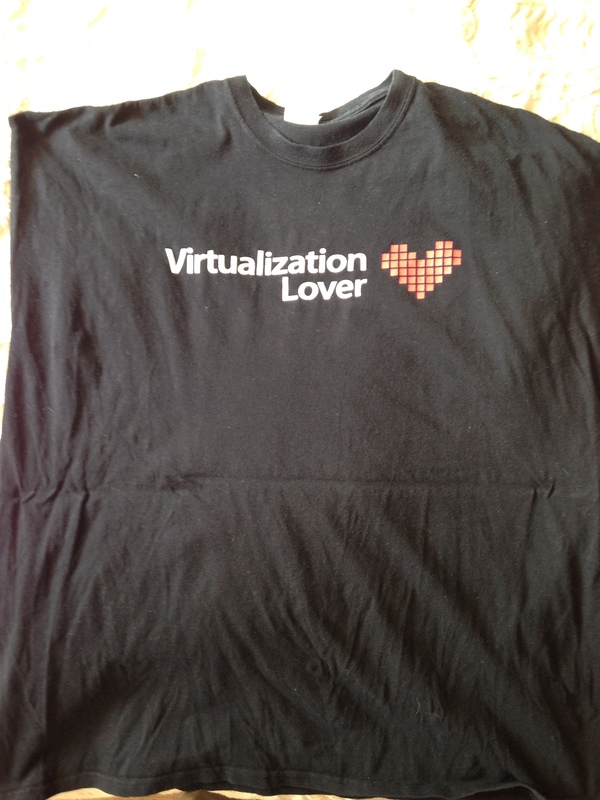 “Virtualization Lover”, but then the back is completely hopeless, way too much info and not a shirt i would wear anywhere but at home, when only the family is around.